Comments: Has a rangy, unkept appearance, but its showy stems are a redeeming factor. 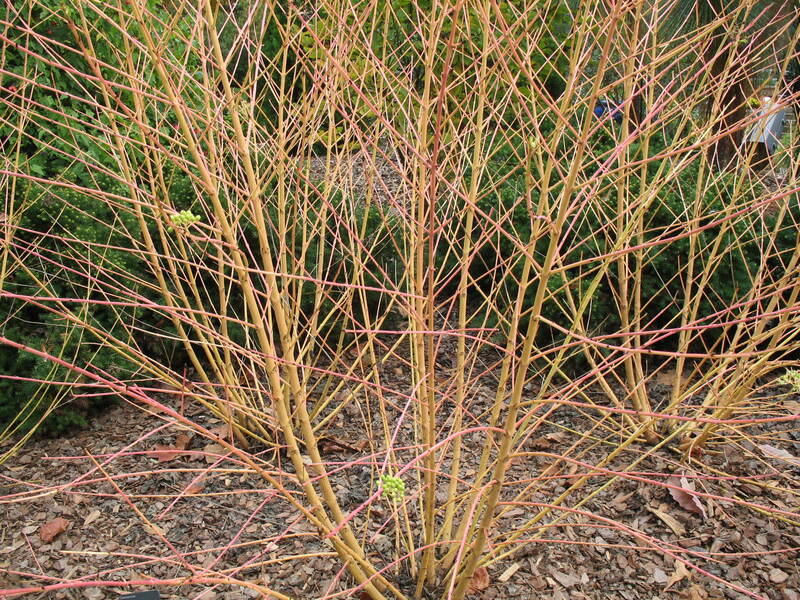 Does not suffer from as many disease problems as do other dogwoods. Birds eat the berries. Can be planted as a single specimen or in mass plantings.